WOTC Questions: Does the screening need to happen before the person is hired or before they start work? Does the screening need to happen before the person is hired or before they start work? 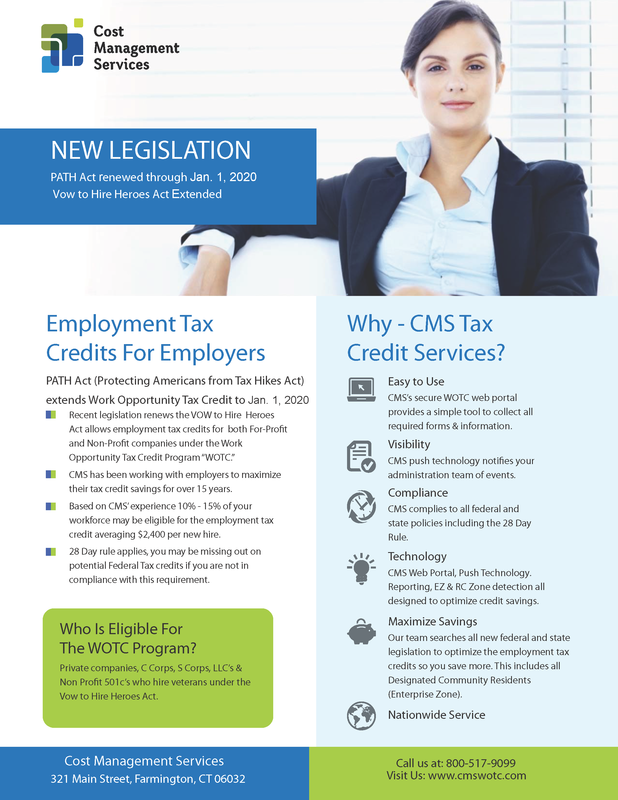 At CMS, as Work Opportunity Tax Credit (WOTC) experts and service providers since 1997, we receive a lot of questions via our website. This week’s question came from an employee! This entry was posted in WOTC News, WOTC Questions and tagged Work Opportunity Tax Credit, WOTC, WOTC FAQ, wotc questions. Bookmark the permalink.